Messi's Argentina revival - false dawn or renewed promise? 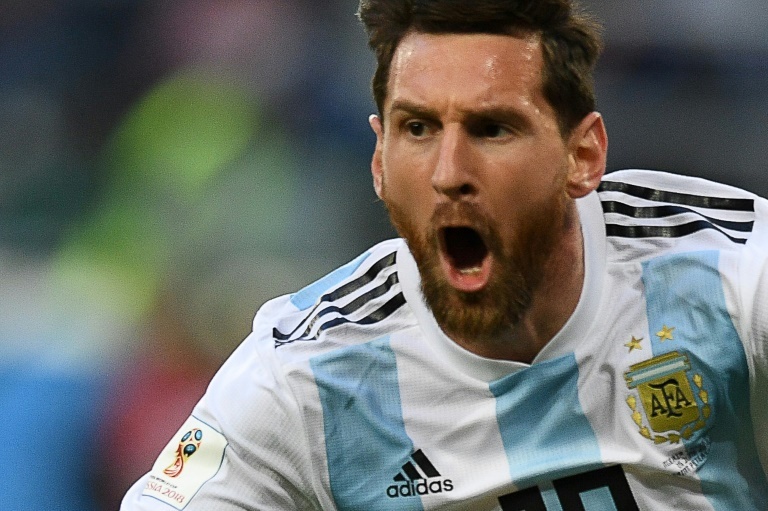 Lionel Messi hit his first goal of the World Cup as Argentina narrowly avoided an embarrassing group-stage exit but vast improvements are needed if they are to go much further. Messi's effort against Nigeria, as he brilliantly cushioned the ball on his thigh before drilling into the far corner, was a tantalising reminder of his talent, largely conspicuous by its absence so far in Russia. It was just a sixth World Cup goal in his fourth tournament but, combined with a late winner from Marcos Rojo, it was enough to send Argentina through to a blockbuster clash with France. Messi was subdued during a tumultuous first two games in Russia, missing a penalty in a 1-1 draw with tiny Iceland and then vanishing almost entirely from sight in a 3-0 defeat by Croatia. In that game Argentina's porous three-man defence was badly exposed, leaving the two-time world champions staring into the abyss and sparking rumours of revolt within the squad. The Argentine FA spoke out in support of embattled coach Jorge Sampaoli amid suggestions he would be sacked, with the 58-year-old absolving Messi of the blame for the Croatia disaster. "The way the match was structured against Croatia didn't suit Messi," Sampaoli said. While Messi's World Cup hopes were hanging by a thread, eternal rival Cristiano Ronaldo's stock was soaring after his hat-trick against Spain and the winner over Morocco. Javier Mascherano, Argentina's most-capped player, shot down reports of strained relations between the players and Sampaoli as the team prepared for their do-or-die Nigeria showdown. "The relationship with the coach is completely normal," Mascherano said. "Obviously, when we feel uncomfortable about something we speak with him because if we didn't we would be hypocrites." Argentina's 2-1 victory against Nigeria on Tuesday in Saint Petersburg, secured by Rojo's thumping volley four minutes from the end, may have prolonged the international career of one of football's all-time greats. "We were confident that we were going to win the match," Messi said afterwards. "It is amazing to have won it in this manner. It is a joy and one that we deserved." 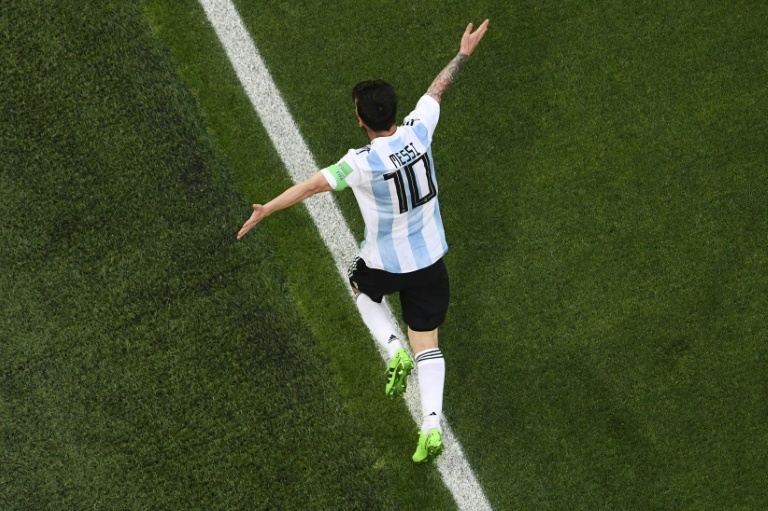 While the early exchanges passed him by, it took just one moment of magic to awaken a slumbering superstar, although Argentina's momentum was fleeting. Messi faded after Nigeria levelled early in the second half, the five-time world player of the year finding himself surrounded by a sea of green shirts. But Rojo's late heroics ensured Argentina live to fight another day, and it was Messi, not the Manchester United defender, who was mobbed by his team-mates at the final whistle. The rollercoaster of emotions took its toll on an animated Diego Maradona, the Argentina legend tended to by medical staff at the stadium. Questions will continue over Sampaoli's authority after the coach apparently sought Messi's advice over the introduction of Sergio Aguero as a late substitute, with Argentina in desperate need of a goal. Messi was also spotted issuing a half-time team talk in the tunnel before the players headed back out for the second period. Regardless of who calls the shots, Argentina now have just three days to prepare for their meeting with a talented France side in Kazan, where they will need everyone pulling in the same direction to keep the dream alive.